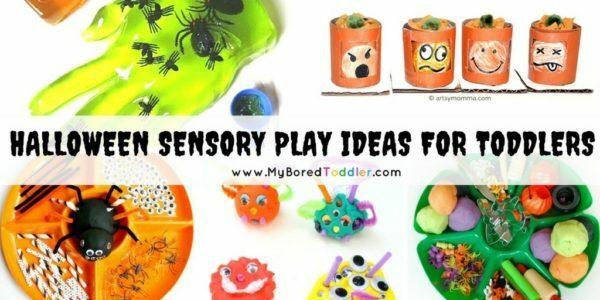 Halloween and Sensory play go so well together! 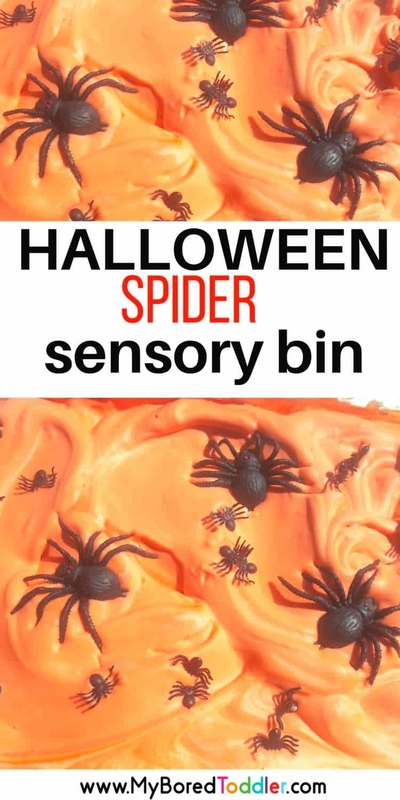 Sensory bins for toddlers are always popular and this Halloween shaving cream and spider sensory bin was a huge hit! 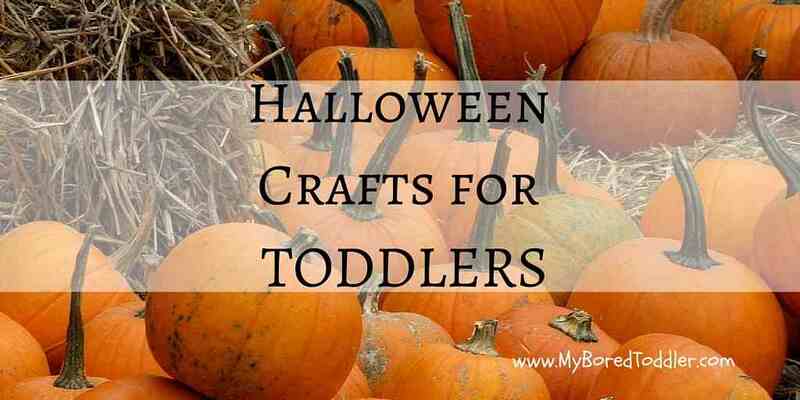 Older children love it too and it make a great Halloween sensory play idea. 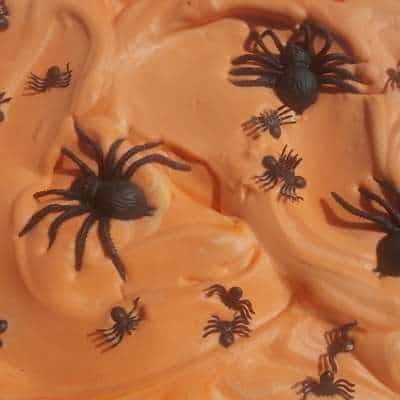 We set this up outside (it can get messy!) 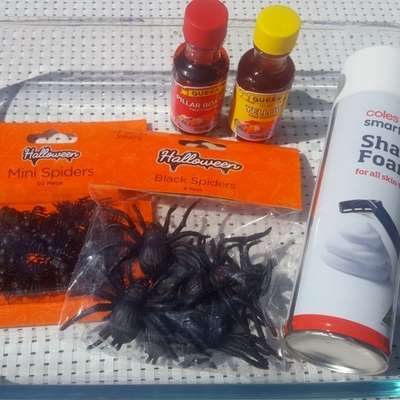 and made sure that we had a bucket of water and a towel nearby ready for a quick clean up! 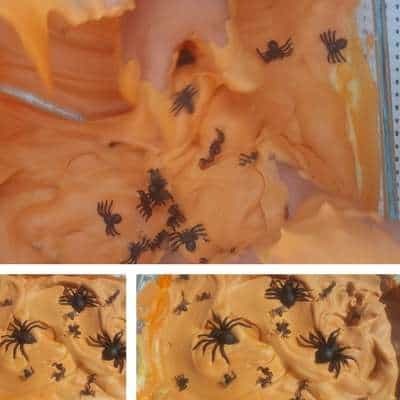 Fill your container or tray with play white shaving cream. 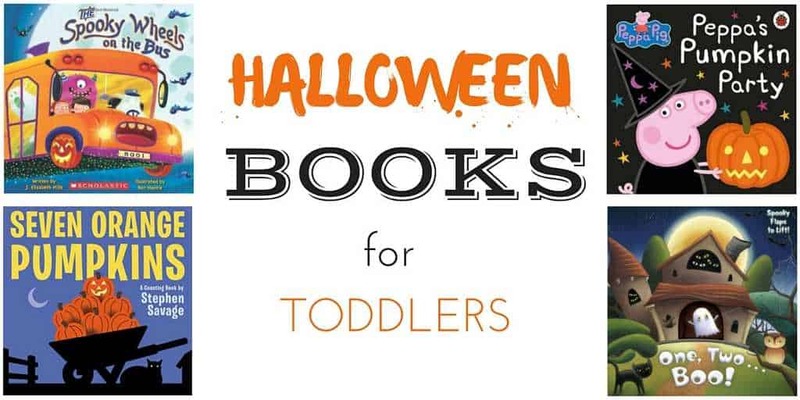 Let the children get messy! 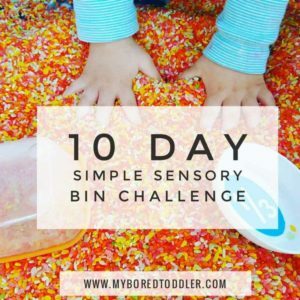 If you do this activity make sure you share a picture in our Facebook group or tag #myboredtoddler on Instagram so we can all see!